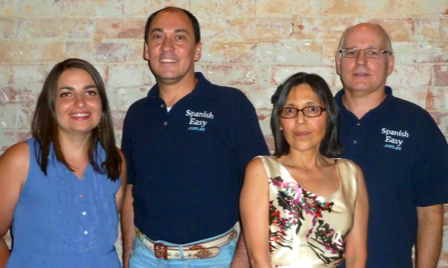 For over 20 years Spanish Easy has been teaching Spanish as a second language, both in Canberra and Melbourne. Some students go on to live and work in Latin American countries; others use their language skills to further their work or travel aspirations. Most students begin with our popular Beginners and Travellers Course, which provides an immersion into the language useful for tourism but also as a sound foundation for our continuing tuition, which we offer through intermediate levels up to advanced. Our principal, NANCY is a native speaker with a thorough knowledge of up-to-date Spanish language usage in the 'real world'. She worked in communications for international companies in Peru and Argentina and is widely travelled in the Hispanic world. Her team for 2019 includes PAULA, ADRIANA and RAQUEL.